This exceptional archtop guitar was built by the legendary NY based luthier John D'Angelico (1906-1964.) 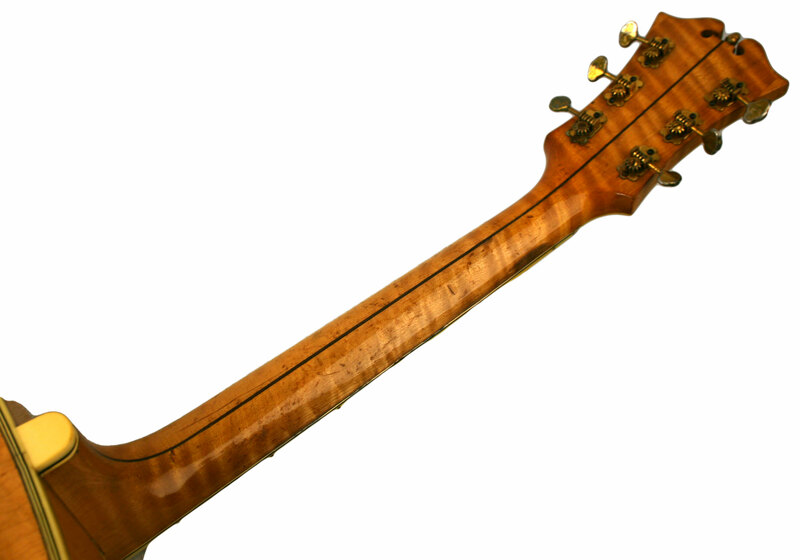 The son of Italian immigrants, D'Angelico inherited the great Italian string instrument making tradition that produced some of the world's best luthiers (i.e. Jimmy D'Aquisto, John Monteleone, Bob Benedetto, Mario Maccaferri, Jacques Favino, B.Busato, etc.) 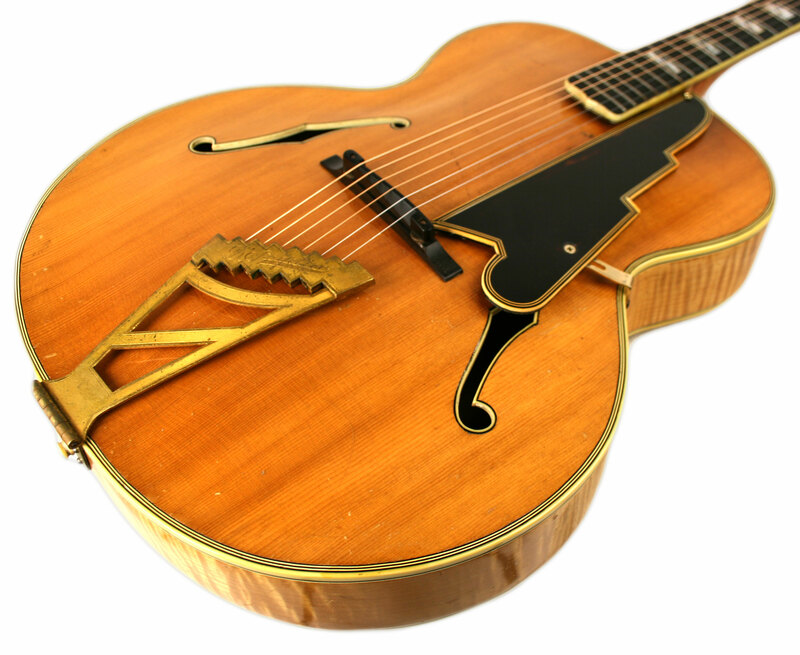 Active during the golden era of jazz, D'Angelico helped to perfect the uniquely American archtop guitar to meet the demands of its role as a rhythm, and later lead instrument, in the jazz bands of the day. Nearly fifty years after his death, D'Angelico remains the preeminent figure in the history of archtop guitar making. His instruments are arguably some of the most collectable of all time and his work is still the standard by which all contemporary archtop luthiers judge themselves. This Excel model, which was built in D'Angelico's workshop located in New York City's Lower East Side, features a natural finished spruce top, flamed maple back and sides, and a maple neck. The fingerboard is ebony and has the original "diver down" MOP block inlays. It has all the original hardware including a set of brass butter bean tuners and D'Angelico's signature art deco tailpiece. The pickguard is a period correct reproduction and the bridge is original. 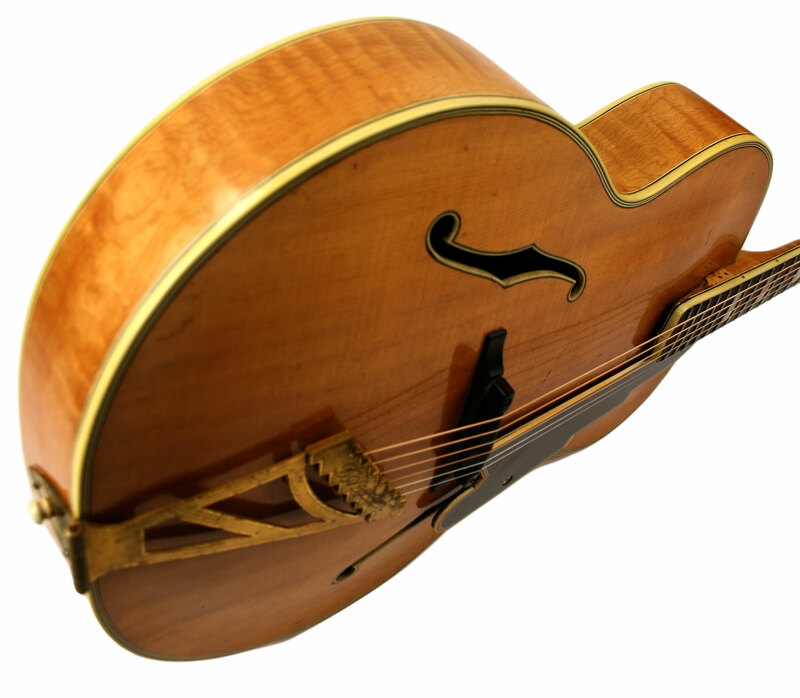 The Excel model was D'Angelico's 17" offering which was more ornate than his earlier Style A and Style B models which where more austere, Gibson L-5 inspired designs. First built in 1934, the Excel model became more refined over time with this 1944 version reflecting the final evolution to a larger 17" body and the fancier art deco tailpiece. 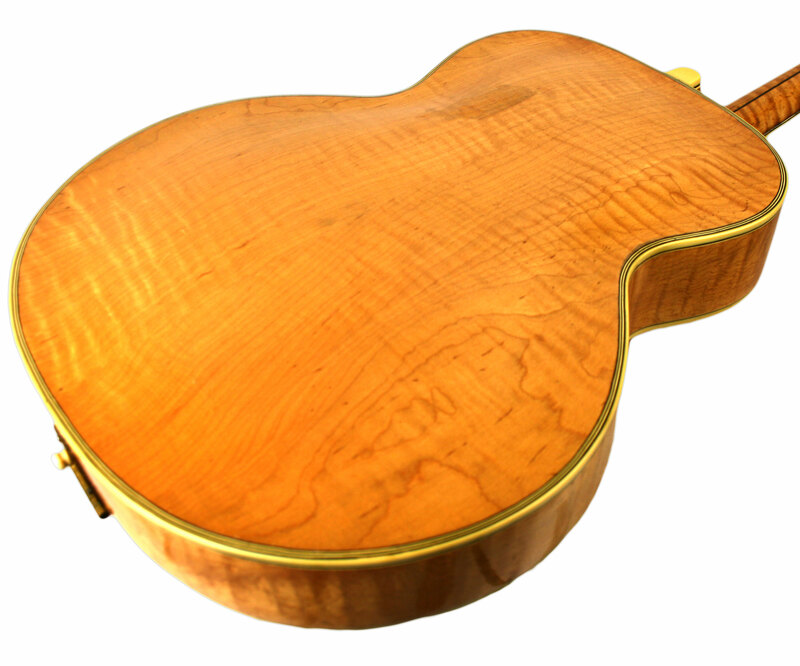 Although the 18" New Yorker model was D'Angelico's flagship model, the Excel remained very popular among players for its more comfortable body size and refined tonal qualities. 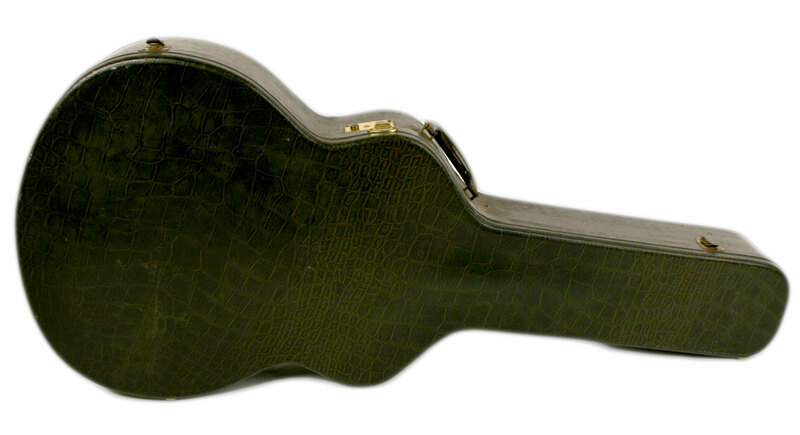 This particular guitar was built for the celebrated NY session guitarist and guitar repairman Chas LaVerne. Sonically this guitar is a pure gem! Built in the pre-electric era, this instrument was constructed to achieve the best possible acoustic tone and projection. 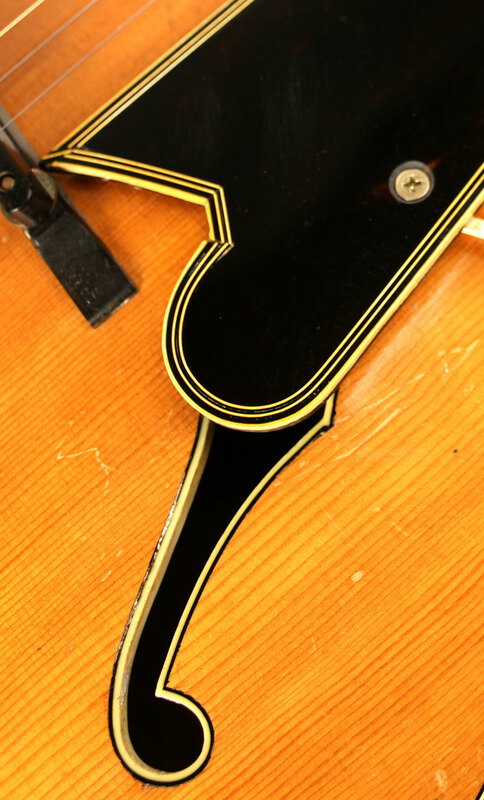 So many later archtops were intentionally overbuilt in attempt to reduce feedback while amplified, which has the unfortunate side effect of rendering the instrument almost completely useless in acoustic settings. This is not the case with this 1940's, parallel braced design which is unusually lightweight and resonant. First and foremost, this instrument is a rhythm guitar par excellence, with a midrange clarity and focus that few guitars can match. These qualities allow this instrument to fit perfectly into a swing ensemble, without stepping on the toes of the bass player nor interfering with horns or piano, with a clear, beam like focus that is well defined and easily audible. These same qualities also make this an exceptional instrument for playing chord melody style solo arrangements as there is excellent definition and separation of each chord's individual notes. This guitar also produces very warm, full sounding leads lines that have just the right character for swing era and early bebop playing. This instrument is in excellent condition, with just some light finish checking and a few small scratches and dings on the body. There is a belt buckle scratch on the back that was spot repaired and some mild fretwear. There are two screw holes in the side of the fingerboard leftover from a previous pickup install. This instrument plays very easily and buzz free with low, 2mm action. 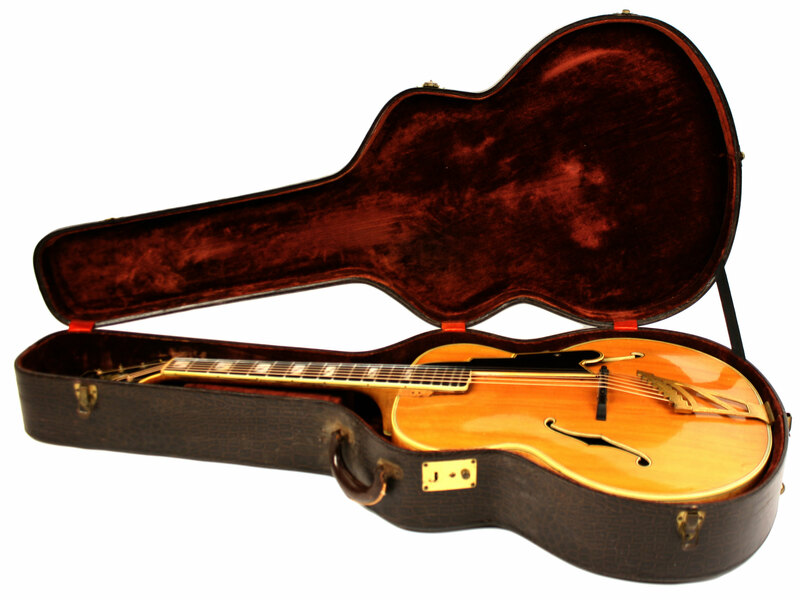 The original case is included along with a time capsule in the accessories compartment comprised of an original set of D'Angelico and Gibson Mona-Steel strings. 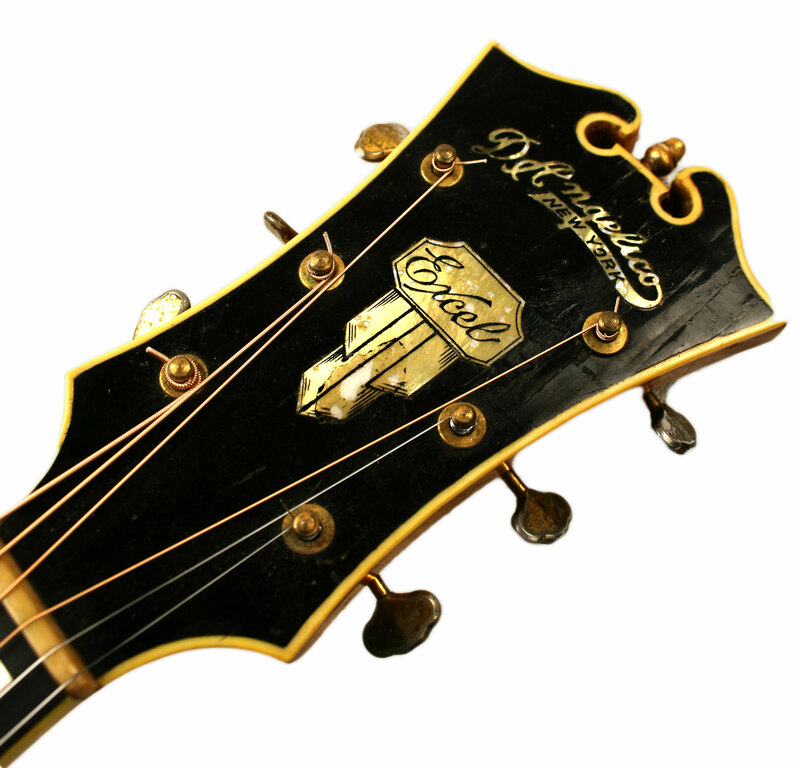 D'Angelico was the greatest American luthier, and arguably the best guitar maker in history. Here's a chance to own not only a piece of guitar history, but an exceptional sounding instrument as well! !